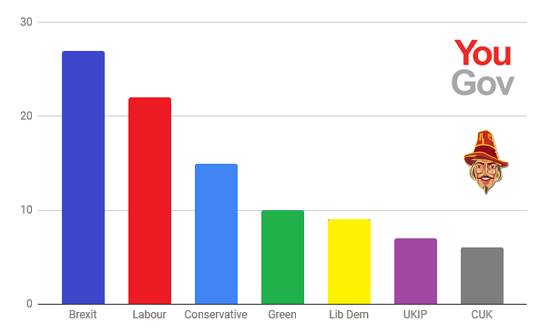 Nigel Farage’s Brexit Party is polling on 27%, nearly double the vote share of the Conservative Party. The 12% jump is sending a shockwave around Westminster. 27% looks like quite a minority to me. I see a party that's only a couple of weeks old. I see a cause that is old and tired, and worn out. Well I guess we'll see. Sure. If you hold elections. It was the same through the referendum though, Farage always said if he succeeded he'd be out of a job.